Venture capitalists take note, Latin America’s Internet entrepreneurs are ramping up. A recent panel at SXSW Interactive entitled “Accelerating Killer Latam Startups” featured three digital pioneers and start up investors from the region, each with a roadmap to finding and investing in new companies. Bedy Yang and her colleagues at 500 Startups, a seed fund and startup accelerator, have organized “Geeks on a Plane,” an invite-only tour of Miami, Sao Paulo, and Buenos Aires May 10-20. Together, they aim to connect startups, investors, and executives within the region to their counterparts in Silicon Valley to exchange ideas, create new networks and explore cross-border opportunities. Ultimately, 500 Startups wants to foster an investor ecosystem in Latin America for start-ups. Understandably, The Next Web named her #1 among the 10 women you should watch in Latin American startups. 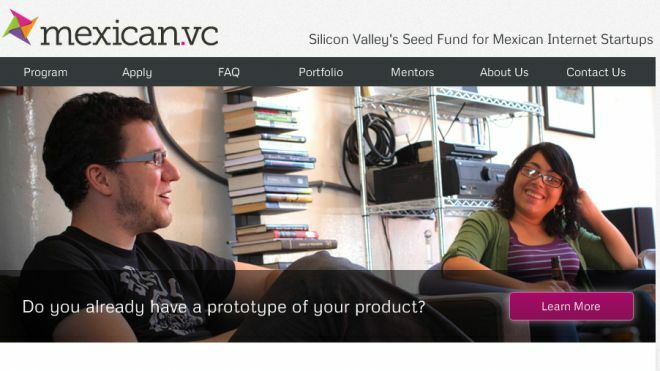 David Weekly and the team at Mexican.vc hope to see a big “ICQ-like” exit in Mexico to inspire investors and entrepreneurs alike, as Israel saw when AOL bought the instant message service, thus bringing in a new wave of investment to the country. He admits systemic challenges exist, most notably payment systems and company formation, which need to be solved in order to enable startups to grow across Latin America and Mexico in particular. Cesar Salazar and Santiago Zavala, his co-founders at Mexican.vc, have fostered a vibrant entrepreneurial ecosystem in Mexico by hosting startup events to bring founders and mentors together. As an example, Mexican Web developers attend “SuperHappyDevHouse” get-togethers, first started by Weekly in the Bay Area, and StartupWeekend events. This year, Mexico became the first country outside of the U.S. to send a StartupBus to SXSW. And next year Mexico will send three. “In the last five years, Mexican.VC, Alta Ventures, Angel Ventures Mexico, and Wayra have all invested in new programs to assist entrepreneurs,” says Weekly. He is encouraged by the sea changes happening in Mexico, most notably the growing middle class, a plethora of high-quality engineers from reputable universities like Tec de Monterrey, and statistics that shows Mexico as the #5 market for Facebook usage. Carolina Rossi of Start Up Chile represented the Southern Cone of Latin America on the SXSW Interactive panel, outlining how Chile hopes to convert itself into a Latin American innovation and entrepreneurship hub by tapping into the networks of visiting entrepreneurs. The Chilean Government created Start-Up Chile to attract high-potential startups to bootstrap their businesses using Chile as a platform to go global while providing them with equity-free seed capital of approximately USD$40,000 and a 1-year work visa. Start Up Chile encourages a test and learn culture for entrepreneurs to experiment in while at the same time attracting more investors. On the downside, Rossi notes that failure is looked upon poorly in Chile and Latin American culture in general. Rossi knows first hand. She first tried running her own start up while attending university. Even though it failed, she brought her know-how to the government agency to help other entrepreneurs with their start-ups. Today, she organizes Meet Ups with entrepreneurs and establishes relationships with universities and incubators. On the up side, the Chilean government has money to invest due its “copper fund,” the tax dollars it collects from its massive copper mining industry. In addition, many website sectors haven’t been claimed there yet as they have been in the U.S. And so many categories are open to entrepreneurs. Start Up Chile has raised more than USD $7 Million for companies such as Safertaxi (a free and safe way to book taxis), In Bed Me (the First Social Booking site for Hostels, Beds and Couches), Gympact (an iPhone app that helps you commit to exercise using cash incentives), and Biofiltro (a bio reactor technology for the treatment of sewage and liquid industrial waste). Forrester Research recently delivered good news for these Latino Digerati, ready to develop new online products and services for Spanish and Portuguese-speaking markets. Its recent report — Understanding The Changing Needs Of Online Consumers In Latin America — shows strong Internet growth in Brazil and Mexico, Latin America’s two biggest markets. Unlike in other regions, Latin Americans expect companies to interact with them via social media and social tools, analyst Roxanne Strohmenger found. “Their love affair with social extends beyond the PC to the mobile phone. 54% of online metropolitan Mexicans and 38% of online metropolitan Brazilians regularly connect with friends via social networks like Facebook and orkut on the mobile phone,” Strohmenger wrote in a blog post summarizing the report. The growth of social networking anytime and anywhere has increased demand for mobile Internet access in Brazil and Mexico. Some leading marketers have already realized the power of social and mobile in Latin America. Coca-Cola launched its new “Happiness” campaign in partnership with Quepasa Games, developer of “Wonderful City – Rio,” one of Latin America’s most popular social games. The campaign integrates Coca-Cola’s message within the gaming experience, accessible via popular social networking sites. In conclusion, perhaps it won’t just be the soccer players and fans screaming “goal” during the 2014 World Cup in Brazil. Latin America’s digital entrepreneurs may very well have plenty to celebrate in two years’ time as well.